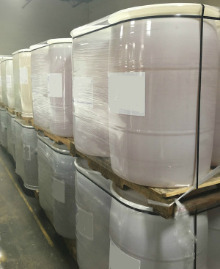 Advanced Blending utilizes stainless steel, carbon steel and high density polyethylene mixing vessels to manufacture liquid chemical blends, dispersions and emulsions. With multiple mixing vessels and variable speed blenders, we can provide customers with batch size flexibility and capacity for large campaigns and multiple projects. Advanced Blending manages large production campaigns or small pilot batches for customer's pre-production run testing. Advanced Blending repackages liquid chemicals. We provide the facility and labor to repackage bulk material into smaller containers or consolidate smaller containers into bulk. 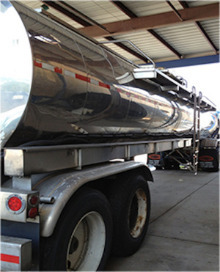 Advanced Blending can receive material in bulk tanker trucks or receive in smaller packaging and repackage into - totes, drums, pails or gallons.